Sydney is New South Wales’ state capital. It is considered as Oceania’s and Australia’s most populous city. Among the common ethnic groups in the area are the Turkish communities. Because of this, Sydney Translations has turned into one of the largest Turkish translation services providers in Sydney. With our Turkish translators, your Turkish to English and English to Turkish translation needs are taken care of with high-quality Turkish translation services. Paired with our experienced project managers, your project will be finished with a fast turnaround at an affordable rate. With more than 7 years of experience in providing Turkish translation services, we have gained enough insight on what our clients like and don’t like. Because of this, our clients keep coming back for their Turkish translation needs. Our proven track record made Sydney Translations one of the most reliable and trusted Turkish translation services provider in Sydney. All of our Turkish translators are NAATI certified so you are confident that your translations can be submitted to any authority that requires NAATI translations. We cater to a wide variety of clients including small businesses, global brands, organisations, individuals and government agencies. We have helped several companies communicate with their target markets via our translations. No matter what Turkish translation services you need, Sydney Translations is here to help you. Do you have NAATI certified Turkish translation services? Yes, we do. Because we have teams of experienced and highly skilled Turkish NAATI translators, we are capable of producing NAATI certified Turkish translation services. All our translations can be used to submit to Australian legal authorities with 100% acceptance rate. We also translate papers in the medical, technical, business, financial, legal and other fields. How much are your Turkish translation services? At $69, we can translate your standard documents. Our pricing varies depending on your document’s subject matter, deadline, length and complexity. Request for an instant quote by simply completing the translation quote form on this page. How can I order a translation of my document? We continuously aim to make our online ordering process faster and easier. You can simply follow these steps to order a translation. Upload a clear photo or scan of your document when you complete the free online form located on this web page. We will send you a detailed estimate through email in less than 15 minutes. Make a payment through bank transfer, PayPal or just use your credit card. We will send you the completed Turkish translation via email. If you need a certified hard copy, let us know, and we will post out a copy for you at your preferred address. When can I expect to receive my translation? Our standard processing time is 2 to 3 business days for a 3-page or less document translation. 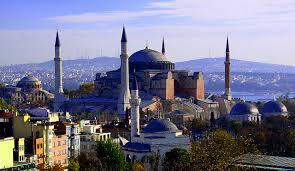 However, we also accommodate urgent Turkish translation services. Let us know via the Live Chat and receive your translation in less than 24 hours. Compared to the Italian language, more people speak the Turkish language. 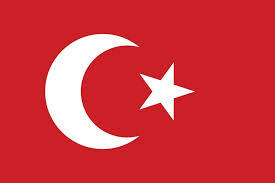 The French, Arabic and Farsi languages have heavily influenced Turkish. Turkish is considered as an agglutinative language because phrases are created by simply adding suffixes and prefixes. When speaking in Turkish, it is impolite to address someone using their first name upon meeting them. The Turkish Language Association governs the language. It was established in as early as 1932.